Cutting out the pattern pieces in fabric the right way is quite important, it determines the smoothness of the project! 1. 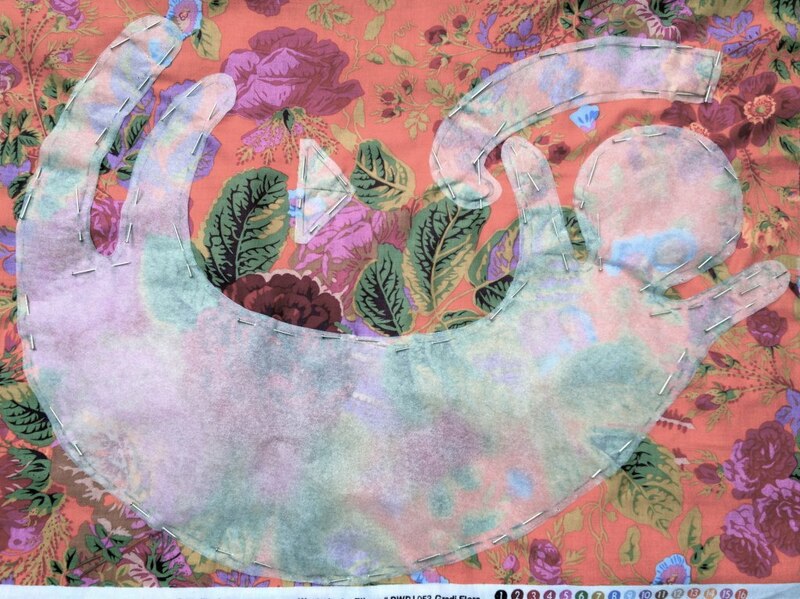 Make sure your fabric is freshly ironed before laying out the pieces. Choose a hard and even surface for accurate cutting (eg. large table or even floor (not the carpet). Fold the fabric in half if you need to cut out two of the same piece (eg: front and back pieces) or if you need to cut something out on the fold (eg. right and left side of the skirt as one piece). 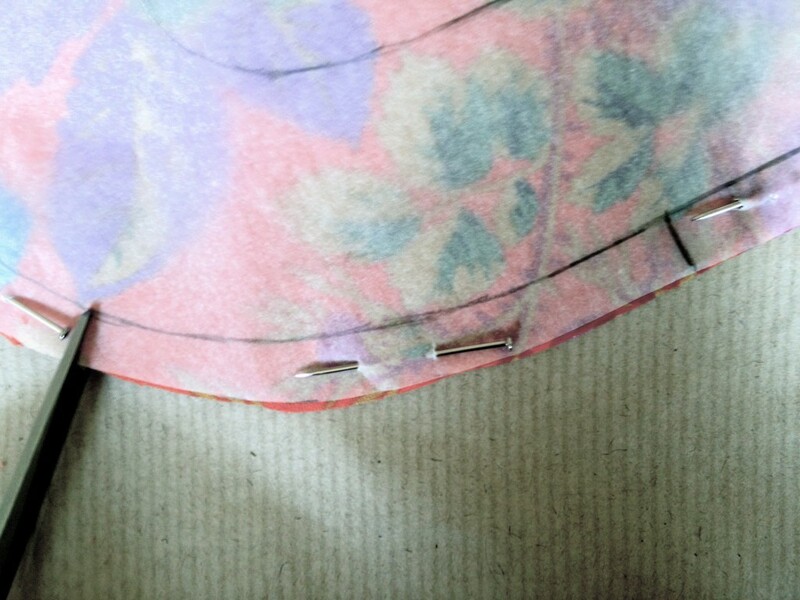 Make sure you lay the pattern paper pieces on the wrong side of the fabric and pin it down as shown on the left. 2. Make sure that you check the grain line! 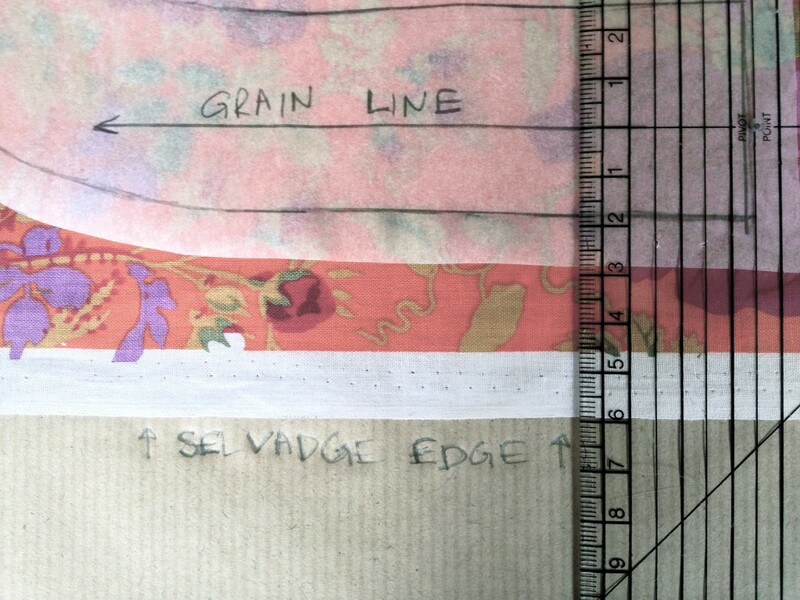 Just measure against the selvage edge as shown on the left. 3. Cut out the pieces and make sure that you snip the fabric to mark the notches and chalk mark to identify the dots. You are now ready for sewing!